Russian Dwarf Hamsters are also known as Djungarian Hamsters. Their average life span is 1 - 3 years though they can live longer. I have had a few reach five years. I've never had one of these that wasn't really friendly but there are several reasons for this and you can repeat what I have always done and your Russian Dwarf Hamsters will be friendly also. Keep in mind that you want to purchase a just weaned juvenile for the best results later when your trying to make friends with it. 1. Always purchase them when they are 4 - 6 weeks of age. Never buy an adult as an adult will never be as friendly as one that is four to six weeks old. And the adult may may have already developed bad behaviors that you'll never be able to change. So always purchase yours soon after they have been weaned by their mother as possible and you'll have a happy, friendly hamster friend. You can try an older one but you'll never have the success you'll have with a younger one. 2. When you bring your friend home put it into its cage and leave it alone for a full 24 hours before you start making friends with it. If you can buy two so it will have a friend but if you buy a pair buy two females or two males or your soon going to have baby hamsters. Keep in mind how large you are and how very small that little hamster is. If the roles were reversed wouldn't you be scared. You have to show it how friendly you can be so it won't be afraid of you. 3. You need to know what to feed it and what not to feed it. If you check I have several Hubs on what to feed them. 4. They are nocturnal. In case you don't know this means they are going to sleep throughout most of the day. So you have to wait to approach them when they are up in the evening. You wouldn't want someone waking you up in the middle of the night to make friends with you would you. No you wouldn't and your hamster doesn't want you rudely waking it up either. 5. You need to learn what treats are their favorites. Three of the favorite treats of mine are cucumber slices, strawberries, and sunflower seeds. Be sure that if you didn't grow the strawberries and cucumbers that you wash them well under cold running water and that peel the cucumber. You should also buy sunflower seeds for pets. You want to be sure to keep your pets food pesticide free. I grow my small pet food including the sunflower seeds but not everyone can. This is also an important reason to always read the labels. 6. At first reach into the hamsters cage after it is up and offer your new friend a treat with your fingers. 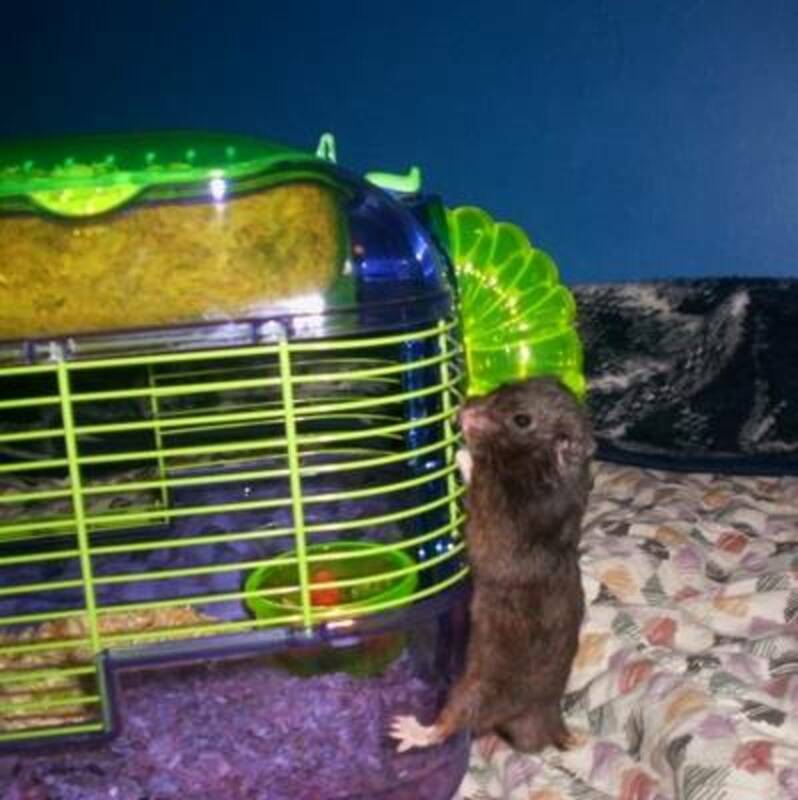 At first just lay the treat down in the cage in front of the hamster but after a few days see if it will take the treat from your fingers or you can lay the treat in the palm of your hand and hold it down in front of it. If your really patient and approach gently and with a soft voice the hamster will make friends with you. It may not work out perfect every time but you'll need to be patient. As the old saying goes if at first you don't succeed try try again. 7. They don't like loud noises including loud voices. Keep the noise and the voices down if you want a friendly pet. 8. Don't put your cage in under a ceiling fan or in a drafty area. Hamsters can catch colds. It can even catch a cold from you so keep this in mind. You should wash your hands with warm soapy water any time you handle your pet both before you handle it and after. 9. After giving it treats for a few days try gently picking it up while supporting its body. If you feel it stiffen up or it tries to bite you back off until another day. If you keep trying you will eventually be able to pick your hamster up. Don't give up trying even if you wear gloves for the first few times until it gets used to you picking it up. 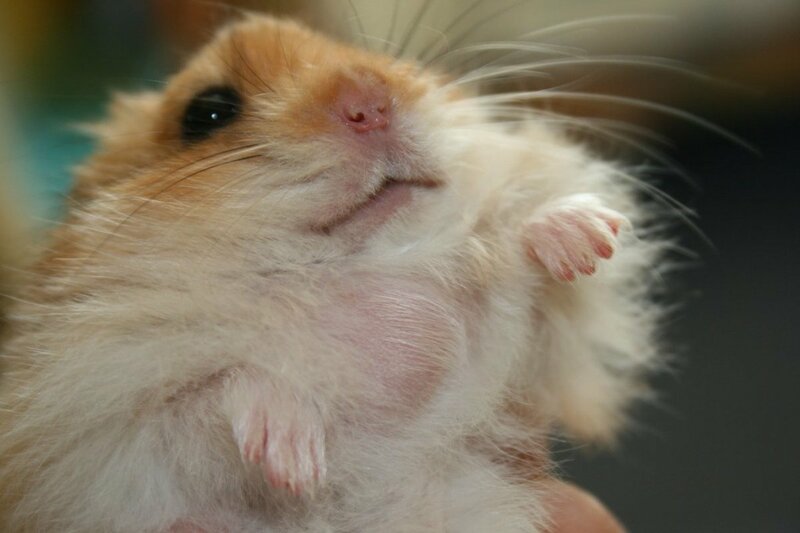 Stroke it softly and talk in a low voice to the hamster while you have it picked up. You have to get it used to you picking it up and petting it. Keep in mind that you need to be sure not to drop your hamster as a fall of a few feet can kill it. 10. You will be best to go with a gravity water bottle so it can get water any time it needs water and its water will stay clean. Be sure to keep the water bottle full of chlorine free bottled water all the time. Don't give your pet tap water as it could harm it and possibly make it very sick or kill it. If you follow those tips above before you know it you'll have very friendly Russian Dwarf Hamsters and you will be able to pick them up and pet them. You need to spend some time everyday being friendly to your pet and you need to pet them as often as possible. If you just put your hamster in a cage and ignore it then it will never be your friend. You have to spend time with a hamster or any animal if you want it to be friendly and look forward to seeing you.You can use treats at first so it will associate seeing you with treats. Did You Find The Information On This Hub Page Helpful? 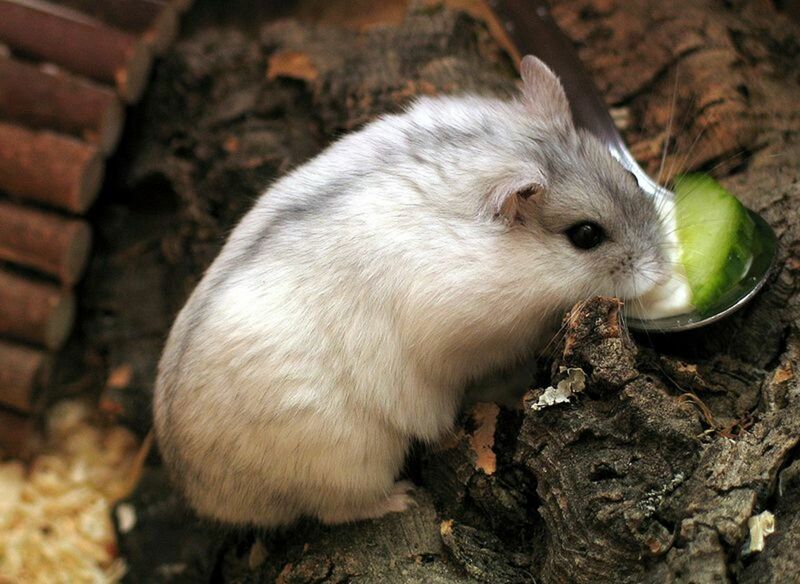 In the wild Russian Dwarf Hamsters change color in the winter and spring. They change to match the color of their surroundings. They dig tunnels leading to underground burrows where they sleep, raise their young, and hide from predators. They may have as many as seven tunnels leading to their underground burrow and in the wintertime they will often seal up all but one tunnel to keep the cold out. 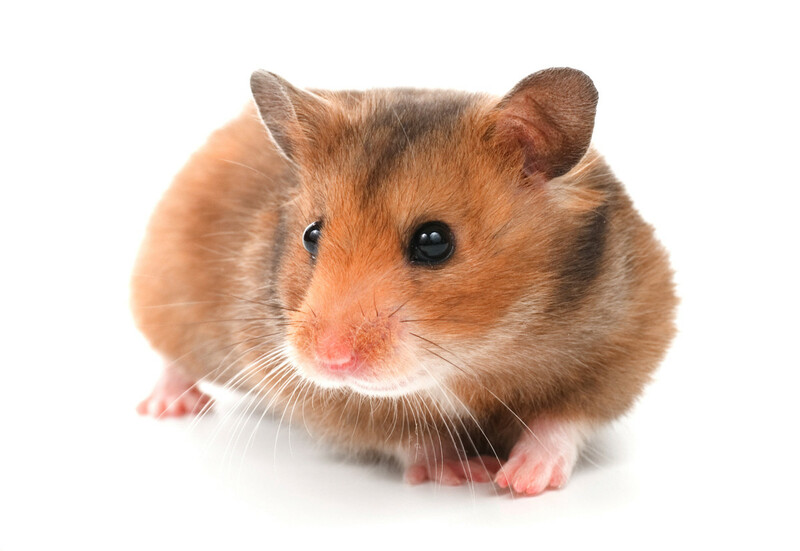 You should know that Russian Dwarf Hamsters breed faster than Syrian Hamsters. They are able to breed again on the same day that they give birth. 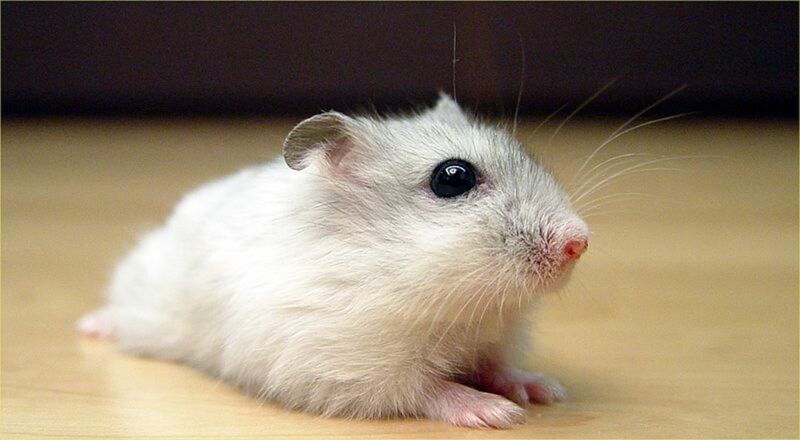 Baby Russian Dwarf Hamsters can be separated from their mothers when they are 21 days of age. They breed all year round as there is no specific breeding season. When they are breeding they will be more aggressive and you need to leave them alone when they are breeding. Female Russian Dwarf Hamsters will fight the males to protect their babies. If you have them all in a large cage you need several beds or hiding places for the hamsters. They need hiding places they can go into but you can't easily see into. This is where the babies will likely be born. 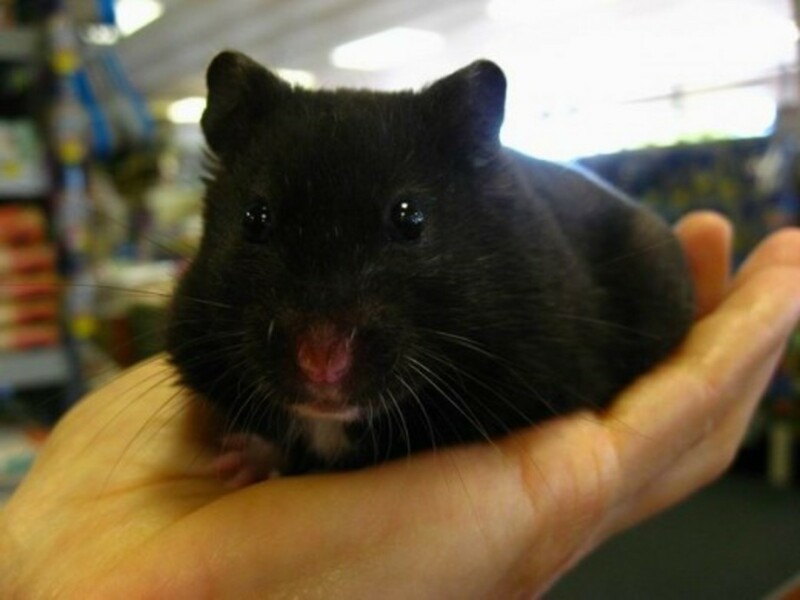 Russian Dwarf Hamsters are often found in the pet market in Europe and North America. You care and feed them much the same way as any other hamster. You can feed them anything you can feed any other species and you should not feed them anything you wouldn't feed to other hamsters. You should also give them bottled water because tap water out of your sink will often contain chlorine and other chemicals. I use gravity water bottles for mine because it will allow them to drink water anytime they want to and the water in the water bottles stays clean. You just need to keep a eye on the water in the bottles and fill them up any time you see the water getting low. You want to be sure never to give your pets any food with sharp or rough edges. They have linings inside their cheek pouches and food with sharp edges can get stuck in their pouches and tear holes in their pouch linings. You don't want this to happen so be sure to give them food that you have inspected for sharp or rough edges. You'll need to be watchful for bite wounds, broken teeth, and wet tail. 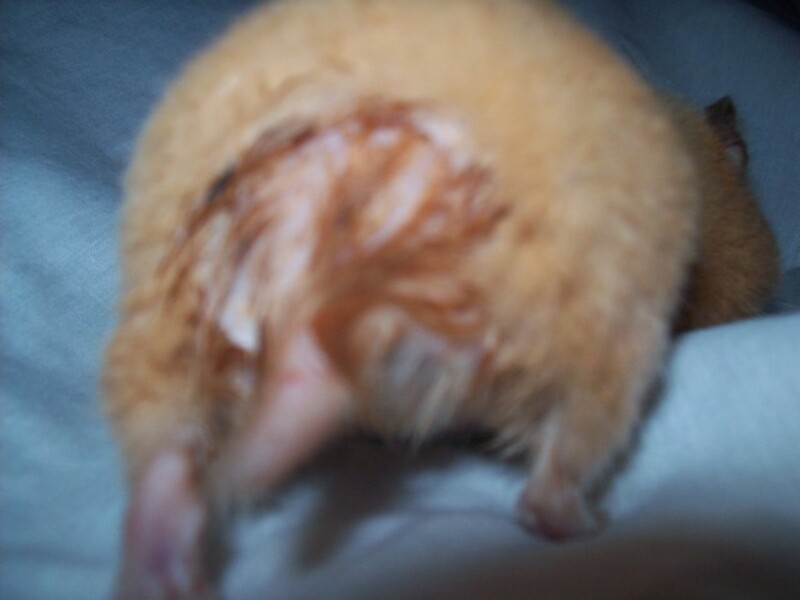 Wet tail is a disease that they can get from being kept in a cage that is not being kept clean. Your cage needs to be spot cleaned daily and completely cleaned at least once a week. When you clean it completely the hamster needs to go somewhere safe and everything needs to come out of the cage. You need to wash the inside of the cage with warm soap and water and dry it completely before you put new bedding in the cage. I use shredded newspaper as it works very well. You need to be sure that everything in the cage gets cleaned. This is the only way your hamster is going to stay healthy. Are you doing something wrong. Are you spending time daily making friends with your hamster. Are you trying to interact with your pet when it is sleeping in the day time. Are all of its food and water needs being met. Did you start out trying to make friends with it when it was young somewhere between 4 - 6 weeks of age. If your doing everything right then you probably need to be patient and keep trying to make friends. No But I Plan To Get One Soon. Please Post Your Comments About How To Get A Dwarf Hamster To Be Friendly. And Thanks For Reading. Thanks Shyron for your comment. I never had a hamster, but we had rabbits when I was a little girl. A wonderfully interesting and useful hub. We had a Russian Dwarf hamster many years ago but it just would not be tamed. We had many larger ones and they were all so sweet.